As part of our student series, we focus on counselling and the different pathways within the profession. 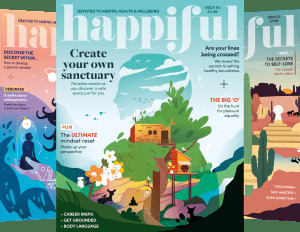 This week, we spoke to counsellor, Angie Nettle. What made you decide to be a counsellor for young people? Have you always wanted to work with children? 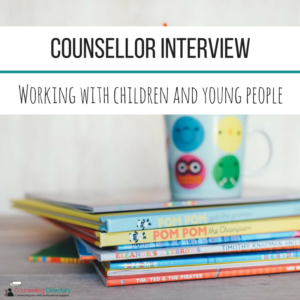 I fell into counselling children and young people after a relate counsellor I had been to see (as a client, many years before I qualified) suggested I contact an organisation after I finished my Fdsc. I’ve somehow always worked with children and young people. I’ve worked as a youth worker and project worker, and also as a horse riding instructor. Most of my life, from the age of 3 has been around horses or ponies. All these jobs attract young people and children, so I’ve had a good background in working with this age group. I have an affinity with children and young people, so this helps! You currently work in primary and secondary schools, in particular with children with dyslexia, ASD and ADHA, is this different to working with adults? Working with children is a different experience to working with adults for me. The referrals I get are often from agencies, who are looking for further support around their client’s needs. Often, it is a young person or child who may have ASD, dyslexia or ADHA who is showing signs of psychological discomfort within the educational environment. Therefore, these children and young people are often referred to me. To me, the difference between adults and children/young people is that often the child or young person will be open to engagement and will use less “adult behavioural constraints”. As in they tell me how is, and not hold back because they are experiencing the core conditions. They know they can trust me to be non-judgemental, not because I say I am, but because they can feel I am. As a dyslexic person myself I have an understanding of how misunderstood this disability is in education sometimes. I use more creative and expressive therapy with children ages 7-11. After this age 11-18, I use creative and expressive therapy, but sometimes it may just be using the core conditions and being a person-centred counsellor is sufficient. I try to meet the client/student with whatever their needs are for contact. Such as playing hide and seek in a wooded area within a school, age 8, motion sand tray, age 14, and talking therapy, age 18. These are examples of recent work with young people and children. What are the challenges of working with children and young people? The challenges of working with children and young people vary greatly. Working with family systems can put a pressure on the relationship with the child or young person. Often the main incongruence will be with the parents/caregiver or school. This is a challenging aspect of the therapeutic co-created relationship. I work with the child or young person to achieve and enable them to address any incongruence through offering the core conditions. Therefore, the young person or child feels able to address issues which they have because they feel supported, whilst challenging different parts of their family system or education environment. You mention using expressive and creative therapy. Do you find that certain methods are more effective for certain ages? Or does it depend on the individual? Following on from comments above, I find that adults tend to be more shy of working with expressive and creative therapy. I do not use expressive and creative therapy as much with adults. One thing that springs to mind is that an adult seeks to remain in control when frightened of an experience they cannot control; often sand tray will bring up the unexpected. Something about trusting themselves, as well as me, when considering the process of expressive and creative therapy comes to mind. I often work with modelling clay, Connect 4, motion sand tray, Snakes and Ladders, marbles, Simpsons Dominoes, drawing/narrative, puppets with ages 7-11. Draughts is something boys seem to really enjoy. Often no one plays any board games with them at all, so I teach them a lot of the games from scratch. Older ages 7-18 engage with most of above. Each individual has their favourite; be it the sand tray, Connect 4 or draughts. I offer whatever they want to engage in. What has working with children and young people taught you? Wow, how long is a piece of string and the word count is not long enough! For starters, it’s taught me about me. Working with children and young people has shown me my own child and my many configurations of my child. It has also shown me that I am in the right job; working with children and young people is my passion. I am passionate about all children and young people getting the support and secure base they need to succeed in life. My personal knowledge grows with each child or young people I counsel and I am grateful for them letting me be part of their lives. Do you have any advice for those looking to work with children? It’s important to have a good foundation and training when working with children and young people. 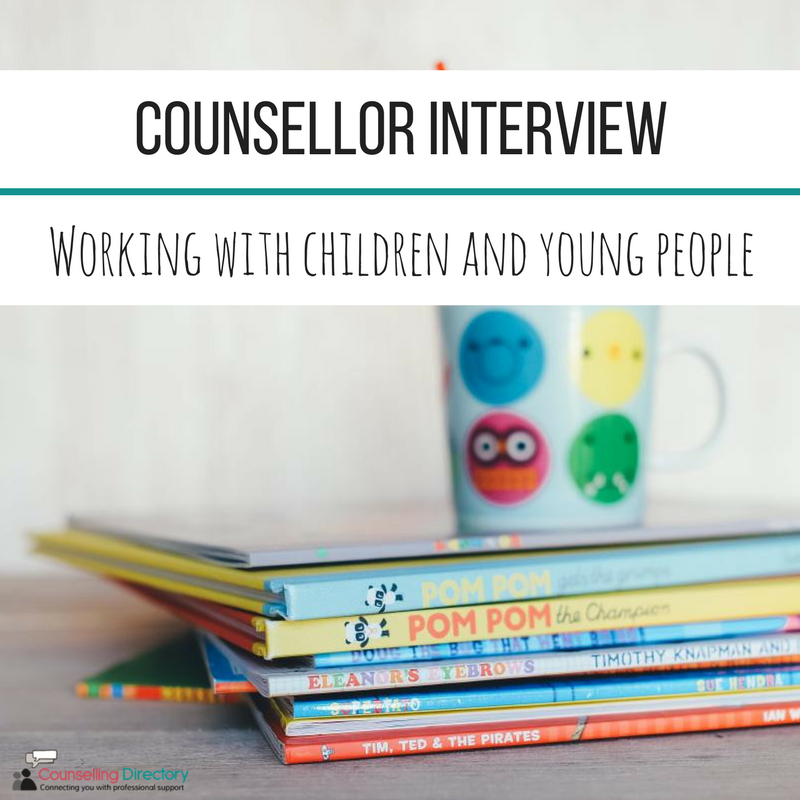 It’s equally as important to have a good supervisor who also works with children and young people, and working in a placement whilst training helps with a good base foundation. Try and get plenty of CPD around working with children and young people to expand personal knowledge and take forward into the therapy. Be aware of what age group suits you – maybe you prefer young children to work with rather than young adults. Also be aware of what blocks come up around age groups, and the different issues each client brings to the therapy room. Finally, use supervision! Feeling into anxiety's wisdom Therapy and coaching: how to choose when you need both?